October! Its a month of spooky stuff, football games and, because it is National Fire Safety Month, fire prevention. I took a very unofficial Red Cross poll of staff and volunteers across the Midwest, and they ranked the following songs as the best fire songs of all time. 10. Rooms on Fire by Stevie Nicks – “Every time that you walk in a room” in your home remember the two ways to escape in case of a fire. Everyone in the family should know this for every room in your home. 9. Fire by the Pointer Sisters – Fire can “have a hold on you right from the start”, so in case of a fire… Get out, stay out and call 9-1-1. 8. I’m on Fire by Bruce Springsteen – “The Boss” may be on fire, but he doesn’t want you to be. Teach household members to STOP, DROP and ROLL if their clothes should catch on fire. 7. Fire by Jimi Hendrix – An awesome song to remind you to “stand next to your fire”. Stay in the kitchen when frying, grilling or broiling food. If you leave the kitchen, even for a short period of time, turn off the stove. 6. Great Balls of Fire by Jerry Lee Lewis – An oldie but a goodie is a great illustration of the unpredictable nature of fire. If your home is on fire, remember that once you are out of the house, do not go back in to retrieve ANYTHING. 5. Smoke on the Water by Deep Purple – The song with (in my opinion) one of the best intro guitar riffs of all time reminds you about the power of smoke. Install smoke alarms on every level of your home, inside bedrooms and outside sleeping areas. 4. We Didn’t Start the Fire by Billy Joel – Maybe Billy didn’t start the fire, but who could? Talk to your children regularly about the dangers of fire, matches and lighters and keep them out of reach. 3. Ring of Fire by Johnny Cash – “Love burns, burns, burns like a ring of fire”, and so can potholders, towels, plastic and clothing. So, be sure you keep those items far from the stove while cooking. 2. Light my Fire by The Doors – Where should you “light your fire”? Not indoors because carbon monoxide can kill. So never use a generator, grill, camp stove or charcoal-burning device inside a home, garage, basement or any partially enclosed area. 1. Burning Down the House by The Talking Heads – Fire can quickly burn down the house so make sure your family is notified quickly. Stop reading this post and replace the batteries in your smoke alarms. Do this at least once a year. For more Red Cross fire safety tips, click here. Join the UWGB Red Cross Club members and local musician, Rob Anthony, for an entertaining evening on the campus of UWGB. 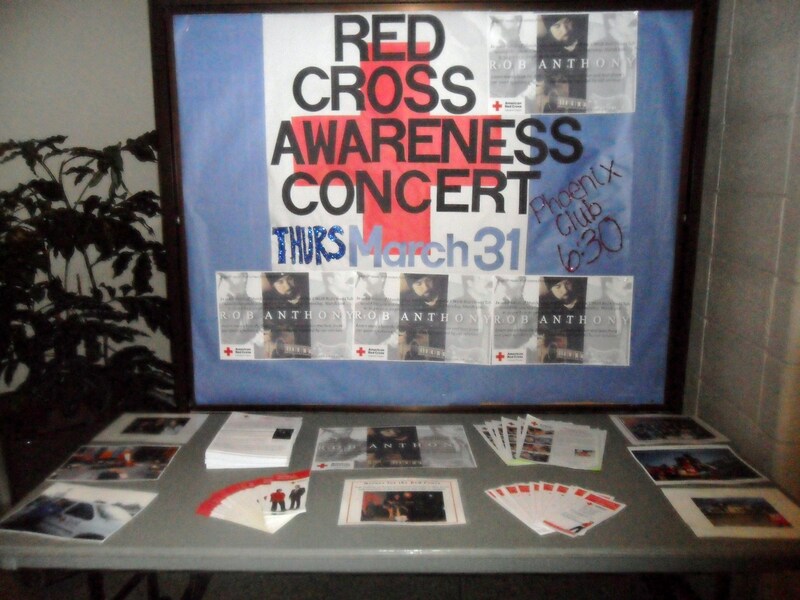 This is the third year the club has hosted the signature event to promote March is Red Cross Month and to spread the word to the community about the impact the Red Cross has on our neighbors. Enjoy Rob’s inspiring and heartfelt music and listen to people share their life-saving Red Cross stories. Where: Phoenix Club Room, 1st floor of the University Union on the campus of UW-Green Bay, 2420 Nicolet Drive. Click HERE to see Fox 11 video of the story. Students and faculty at Appleton’s Lawrence University are still trying to reach friends, colleagues and students at a now collapsed Haitian music school they’ve worked with closely for more than ten years. The news is trickling in slowly. It’s been both good and bad. Some at the school have been saved, others are still trapped in the devastation. “Wait, wait that looked like him,” student Carolyn Armstrong said pointing toward the computer in her Professor’s office. For days now, the small room has been consumed with worry. “There’s just always this feeling in your guy, you don’t know where this person is, you don’t know if they’re okay, when they’re going to contact you,” Armstrong said. She left Haiti just three weeks ago, after traveling to the country with other Lawrence students and faculty to teach music. Now, as she looks at a report on the school she left behind, the shock is evident. “It’s complete devastation, there’s still people trapped in the rubble, they’re still freeing people,” Music Professor Janet Anthony said. Anthony has spent every summer since 1996 at the St. Trinity complex in Port au Prince. She says the convent there has collapsed, those inside were able to escape. But the trade-school is completely gone and an elementary school flattened. Then, there’s the music school. Anthony doesn’t know if they’ll ever know how many victims were there, but they’ve made a list as the faculty and students frantically try to reach the Haitian people who’ve become friends. “One of our students was freed literally just hours ago with a torch,” Anthony said. Every rescue brings relief, though celebrations are short-lived. “You look at the list and you realize that’s one person out of a hundred, it’s been, its been really hard,” Armstrong said. The lines of communication are beginning to open, but those they reach say conditions haven’t improved. “They don’t have water, they don’t have food and this is the third day,” Anthony said. So, the University is planning a benefit concert for this Wednesday. 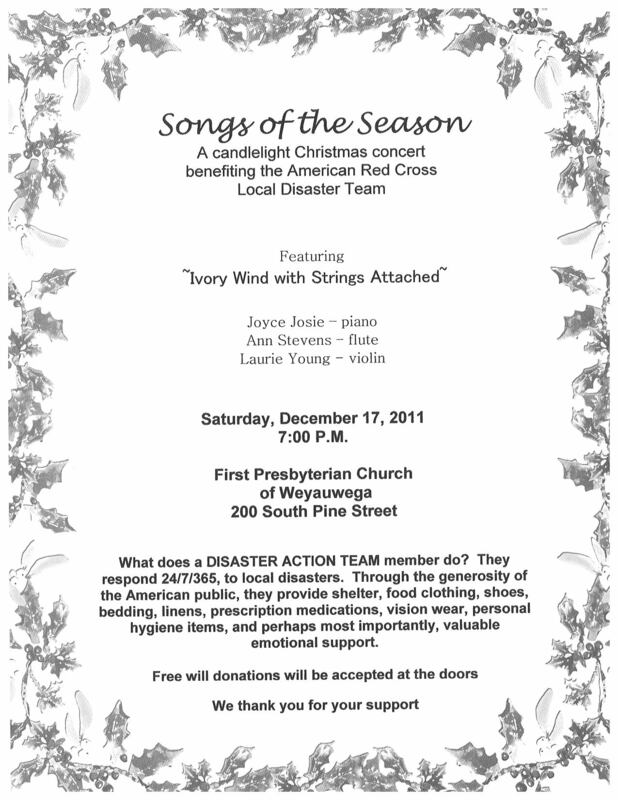 Donations will go to the Red Cross and the music school they hope can one day rise again. “They need it now, more than ever,” Armstrong said. The “Concert for Haiti” will be held at the Lawrence University Chapel Wednesday, January 20, at 7:00pm. Donations will be accepted at the door. 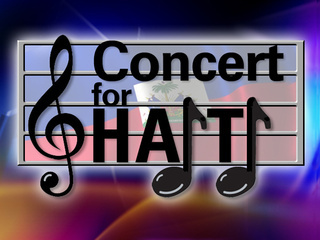 Then on Thursday, FOX 11 will present a news special on the Concert for Haiti. It will be broadcast at 9:30pm Thursday.